Sugary drinks are everywhere here in Minnesota. They may be an excellent oasis during a hot day, but it is widely known that these drinks are nowhere near healthy, especially for our teeth. Our mouths have naturally occurring bacteria in our mouths that consume sugar and produce acids that erode away at our teeth and beautiful smiles. Sure, brushing your teeth after drinking these sugary drinks may help and so will consistent Comprehensive Dental Cleanings, but these will still cause damage. It can be confusing what is healthy and what is not when even our “healthy” or “all-natural” juices contain copious amounts of sugars. A can of soda can contain similar amounts of sugar as a “healthy” glass of apple juice. According to the USDA, sugar should make up no more than 10% of your daily calories. Just 1 can of soda, energy drink, or a glass of sugary juice can be enough to cover your entire daily limit. Understanding that sugary drinks can damage your teeth is a good start to better oral health. Set goals for you and your family to reduce the number of sugary drinks you consume and over time, you may not crave that Coke or Orange Drink anymore and be on your way to a healthier smile. 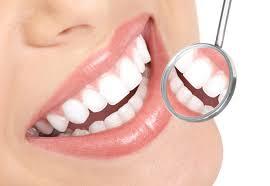 Family Dentist White Bear Township | Lets keep your smile shining bright! Reducing or eliminating your consumption of sugary drinks is an excellent way to help maintain your oral health. Along with daily brushing, eating smarter, and drinking healthier beverages, remember to visit us every 6 months to ensure your smile stays bright and healthy! Contact us, Birch lake Dental - your local family dentist in White Bear Township today to set up an appointment for all of your Oral Health needs!